Summer with hot temperature is an ideal season for excursion. 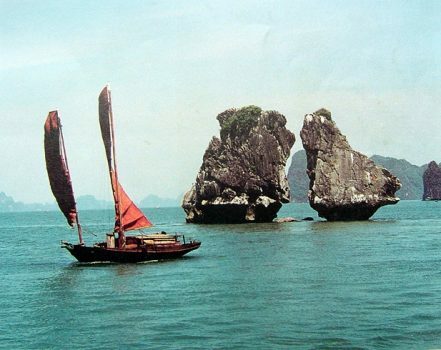 In Vietnam, Halong is a great choice for this season with fresh air and pure water. 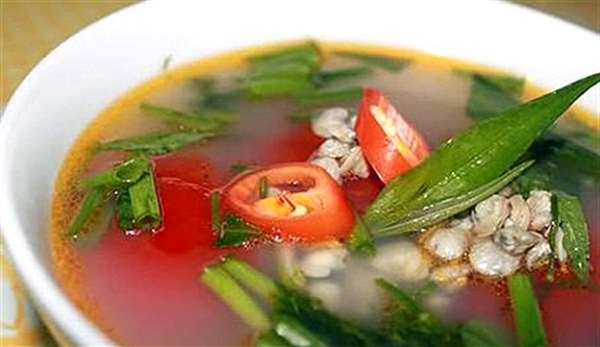 In this place, tourists not only can enjoy the landscape but also can explore delicious foods and one of the top list here is Canh Ha (Barnacle soup). Canh Ha is available for all year but it is the most wonderful when people try it in summer time. As a gift from Mother of nature, the way of processing barnacle is honestly an art. It is complicated right at the first step, cleaning the barnacle. First of all, people have to use a pointed hammer to extract barnacle from Khalsi tree or rock, and then break the cover for kernel. Subsequently, barnacles are twiddle in group after being soaked in water for entirely clean. Finally, people twiddle barnacles with salt and clean it with water. Tourist can feel entirely fresh and pure taste when try this food. Canh Ha seem to be a gift that is made with heart. 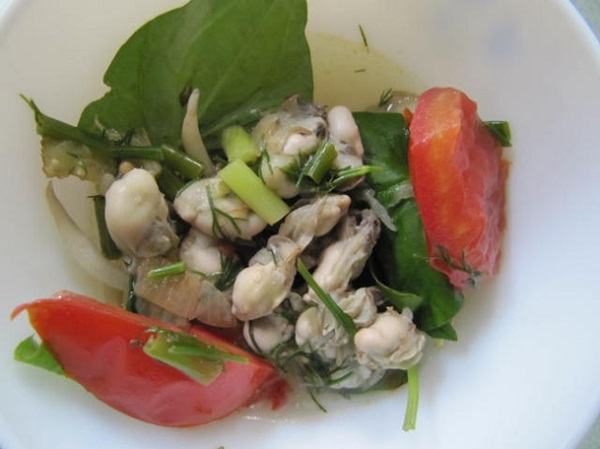 Canh Ha has two ways of tasting. First, tourists can feel both fresh and greasy when barnacles are fried with spices before being boiled. Second, barnacle which is directly cooked with other ingredient gives tourists special taste and entirely pure flavor from ocean. In addition to that, Canh ha is both good in hot or cool. However, a steaming hot bowl of Canh ha with some red slide of chili is more suitable for winter. Sharp taste of chili with hot soup is a strong taste that make tourists immediately find buoyant. A colorful picture of red chili, green eryngium or scallion yellow ginger also creates an impressive look that attracts anybody. 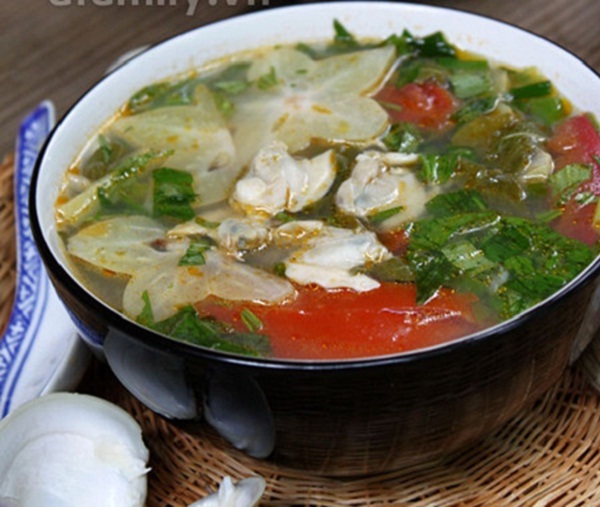 Canh Ha is not only delicious with ocean taste and impressive in look but also is a nourishing. It is honestly a great choice for summer and even other seasons. 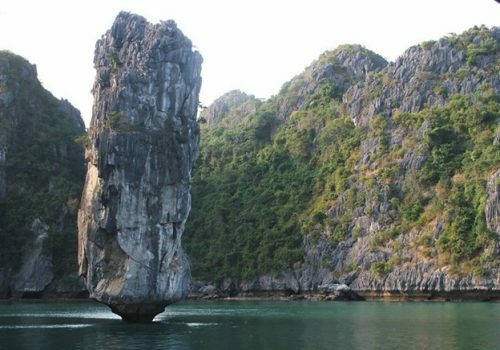 Canh Ha also represents for list special food in Halong, which gives tourist unforgettable experiences.